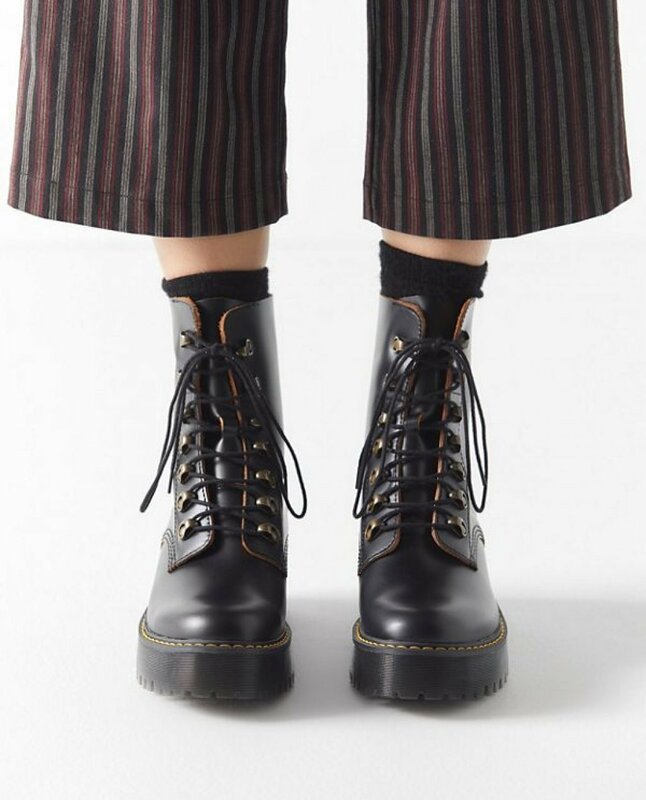 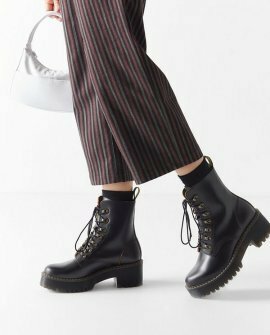 Antiqued brass tunnel eyelets + the platform heel give this tough Dr. Martens boot a vintage feel. 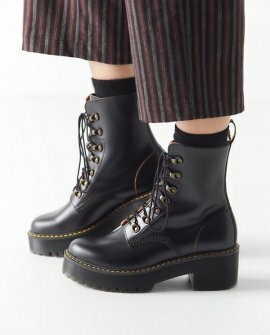 Made in a retro, smooth leather with subtle graining, and built on the iconic Airwair™ air-cushioned sole with superior abrasion that resists slippery surfaces. Classic Doc details, like grooved edges, yellow stitching and heel-loop.